The beginning of tax season marks the first day that the IRS will accept individual electronic returns and start processing traditional paper returns. Did you have a happy New Year? We certainly hope so. Now it’s time to get back to regular routines and take care of January chores, including gathering your tax information. 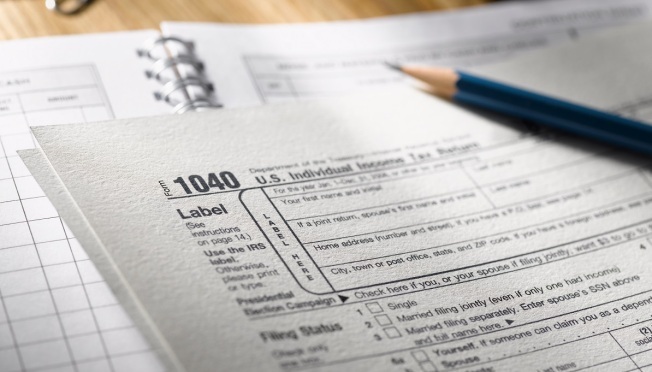 The IRS announced that the 2016 tax season will begin on Jan. 19, as scheduled. The beginning of tax season marks the first day that the IRS will accept individual electronic returns and start processing traditional paper returns. Soon, you and more than 150 million of your fellow Americans will be sifting through tax information and preparing returns — or have them prepared for you. Over 38,000 firms were at the ready to prepare your forms in 2015, handling over 82 million returns and creating $7.7 billion in revenue for tax preparers. Expect tax preparers to be just as busy in 2016. You may have an alternative to paying for tax services. Almost 100 million Americans are eligible to save money by using IRS Free File. The IRS and their commercial partners supply free software to families or individuals making less than $62,000. This software can help you file your taxes without the need of outside assistance. Regardless of who prepares your taxes, you get a few extra days to file them this year. Everybody gets one extra day thanks to 2016 being a leap year. Further, the filing deadline in most of the nation is April 18th instead of the traditional April 15th date. April 15th falls on a Friday this year and coincides with the Emancipation Day celebration in Washington D.C., pushing the deadline forward to the next Monday. Residents of Maine and Massachusetts get to file on April 19th because of the Patriots Day holiday on the 18th. For 2016, the seven tax brackets are 10%, 15%, 25%, 28%, 33%, 35%, and 39.6%. The threshold taxable income values have changed slightly due to inflation. For married taxpayers filing jointly the lower thresholds for each tax bracket are $18,551 (15%), $75,301 (25%), $151,901 (28%), $231,451 (33%), $413,501 (35%), and $466,950 (39.6%). Individual taxpayer thresholds are $9,276 (15%), $37,651 (25%), $91,151 (28%), $190,151 (33%), $413,351 (35%), and $415,051 (39.6%). Did you know that the upper tax brackets do not apply directly to overall income? Those in the 39.6% tax bracket do not pay 39.6% of their total taxable income. Using married filing jointly as an example, they pay 10% on the first $18,550 of taxable income, 15% of the difference between $18,551 and $75,300, 25% of the difference between $75,301 and $15,900, and so on until reaching $466,951 when the 39.6% rate takes effect on all further income. How much tax revenue does the IRS take in? During the last fiscal year, the federal government raked in just short of $3.25 trillion in revenue. That works out to just over $10,000 for every man, woman and child in the U.S. Individual income taxes accounted for $1.5 trillion of that total. Generally, refunds are issued in less than three calendar weeks after receipt. That makes e-filing even more popular, since the submission is immediate. Last year over 128.6 million tax returns were e-filed, over 90% of the total submissions. It may be a bit much to expect a happy feeling from tax season, but who knows? You can get the satisfaction of having your taxes done early and avoid the stress of desperate last-minute searches for receipts and other vital tax information. Besides, there could be a refund in your future, and that should keep the happiness rolling through the New Year.